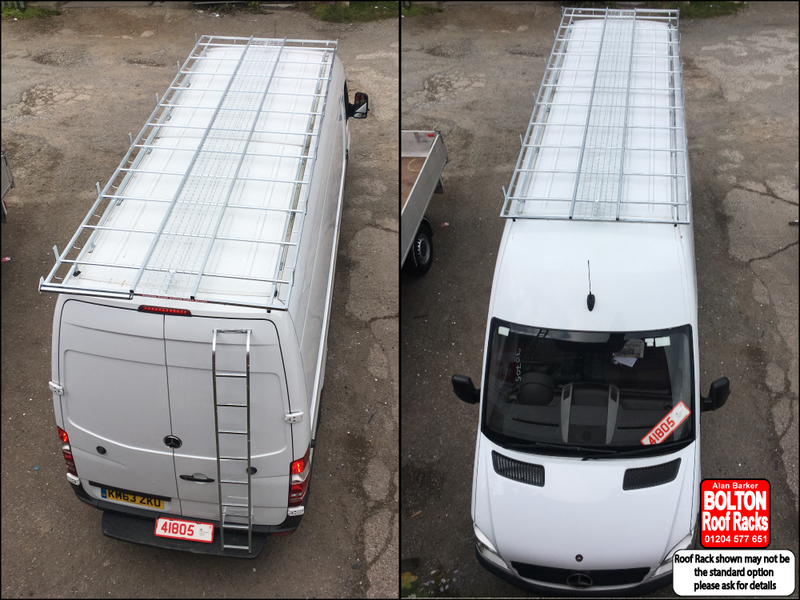 Mercedes Sprinter Extra Long Wheelbase High Roof Racks from Bolton Roof Racks Ltd. Roof Racks for Mercedes Citan Models we hold in Stock. We have designed and manufactured our roof racks to meet the requirements of our customers. We have developed the latest version of roof rack to provide strength, functionality, and quality. Whilst still providing the best range of features and still meet your budget. The Mercedes Sprinter is a very popular vehicle. The Mercedes-Benz Sprinter is a light van produced by Mercedes-Benz. It is available as a standard panel van for cargo (called Citan), or with passenger accommodations substituted for part or all of the load area (called V-Class or Viano). We have chosen to stock the most common roof rack versions, to speed up our ability to serve you the customer. Get the best out of your Mercedes Citan by adding a Roof Rack. We have the Roof Rack EXTRA's You need. The avarage installation only takes 15 min's, for stock items. To make it even easier we accept Card Payments. We won't be beaten on PRICE. Find the same quality product, with the same specifications and features, and we will happily match any genuine like-for-like quote. Copyright © 2019 Bolton Roof Racks Ltd.